I travel all over the world talking about the oral tradition, that's my passion, and people often ask me about Wales and I always felt embarrassed that I hadn't been to the Eisteddfod. So, this year, I'm making the effort to come here and see what it's like. I really thought the Eisteddfod would be a gathering of bards, and I expected to see men with beards, druids, and a lot of people wearing gowns. I was surprised to see so many children and stalls, and a very relaxed atmosphere. The Gorsedd of Bards ceremony on Monday was great, slightly weird, but I was really into it despite not understanding what they were saying. It amazes me that almost every other person I meet can sing, and children find it natural to go on stage. I've worked in England trying to get kids to perform poetry and it's hard work. Here, it just seems more natural because all children expect to do something towards the Eisteddfod at some point in their education, which is amazing. I think the English could learn from that. It'd be great to have a national performance, poetry and singing competition in England where parents and teachers also get involved. I also wish people in England could appreciate their language more without being culturally imperialistic about it. We need to remember that the English language is borrowed from other languages like French, Anglo-Saxon and Arabic. 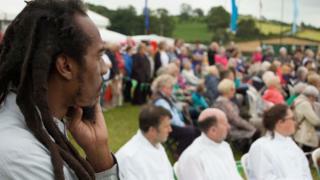 We can make wonderful poetry and song with it, but we have no way of expressing it in the same way as the Eisteddfod. 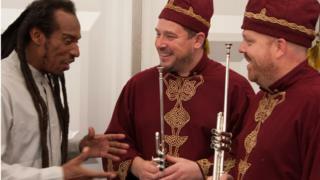 The Eisteddfod also strengthens people's sense of Welshness, and brings them together. The only time I hear English is when people speak to me. Then they turn around and speak Welsh again - I like that - and on that basis alone the Eisteddfod is really worthwhile. It has real validity and has a place in today's world, and it produces some great poetry and singing. One of the other things I feel about the Eisteddfod is that it doesn't seem elitist, despite some people accusing it of being so. I was talking to a male voice choir - its members were builders and plumbers, and they hadn't studied music in any performance schools. Literature festivals in England tend to be attended by an elite bunch of people. I don't get a sense of that here. And because the Welsh language and culture has been under threat, people appreciate what they've got and they're more willing to come together to celebrate it. If you feel that you're losing your language, you're losing your soul, so you will work together with your neighbour to keep it alive. If I was Welsh and a Welsh speaker, I'd probably be a militant! But I do think Welsh poets need to perform more in England - we need to hear more of the Welsh language in festivals such as Latitude. I am a multiculturalist. In England, on the whole, when we talk about multiculturalism, we tend to talk about black people, Asian people and people who have brought their cultures here, and sometimes we forget that there are local cultures which are very different to English mainstream culture and literature. So when I come to Wales, I treat Wales like a different country with a culture and language of its own. And if Wales is a part of Britain, then that culture is an important part of Britain - as important as Jamaican culture, Trinidadian culture or Indian culture for example. That's why I've always said that the Welsh language should be taught in schools in England. Hindi, Chinese and French are taught, so why not Welsh? And why not Cornish? 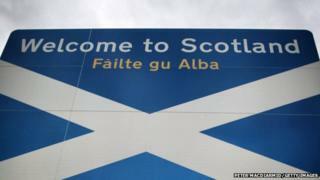 They're part of our culture, and I know of people in England who don't know that people in Wales speak Welsh, or that there's a Scottish language. This is multiculturalism, and we've always been multicultural. Tribes have been settling here and bringing their language and culture for millennia, and this is something we should celebrate. Once you learn these things, it's almost impossible for you to be racist, because you will realise that we have all come here from somewhere. We can learn to celebrate difference and still be one people. 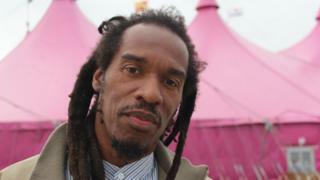 Benjamin Zephaniah presents Eisteddfod 2015 on BBC FOUR on Sunday 16 August, and also on BBC TWO WALES on Saturday 15 August at 19:40. 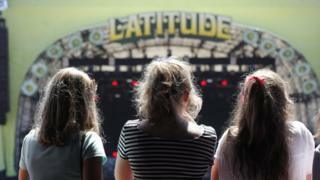 For more on the National Eisteddfod, including video highlights and photos, visit our Eisteddfod website.